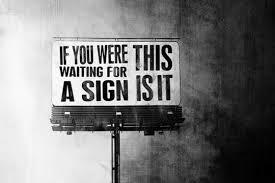 The One Sign You Will Be Rich? Have you thought about what foreshadows who will become truly rich? It’s remarkable how clear the one sign really is when you think about it. Money and happiness, although complex, are linked says economist Justin Wolfers. Obviously, there are many ways to measure wealth — whether it’s having a $250,000+ salary, volunteering the most time at the local animal shelter, or having the most playtime with your children. Whatever you value, you are rich if you have an abundance of it. Whilst I agree that ‘rich’ can be measured many different ways – not just in monetary terms – in this blog, I am ONLY talking about getting rich in traditional, monetary terms … in fact, this blog is about reaching at least $7million in 7 years. So, what is the ONE, sure sign that you – or somebody you know – is likely to become $7million in 7 years kind of rich? So, here is what I believe predicts who will be rich. The one sign you will be rich is that you work harder than everyone else. Whether your riches are measured in friendships, fitness, talent, or money, those who have an abundance, get it by working harder to secure it. There is often a backlash against working hard to secure wealth — some may call you a workaholic or a perfectionist. Some may despise your inability to set “work/life” boundaries. And others may still wonder when you will take a “real” vacation. But there is no other way to be great and fully rewarded. But it’s not a winner-take-all equation — we all want different kinds of wealth. But those who do work harder are rewarded proportionally.